Thanks to Titania1000 for the heads up. The dark and haunting series "Hannibal" returns for a third season, revealing the fates of characters hanging in the balance, and the continuing psychological cat and mouse games they face. 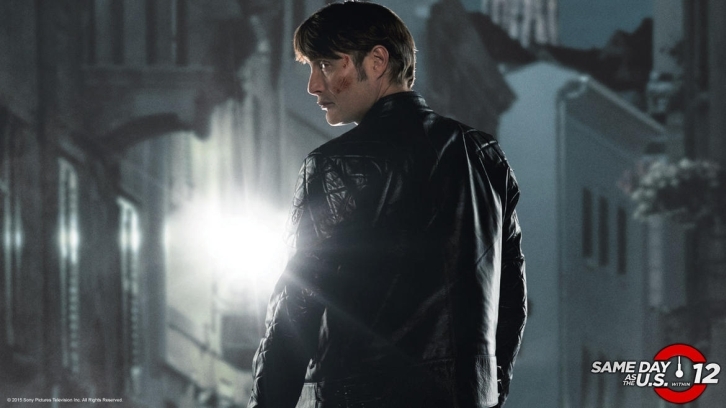 After the shocking events of the season two finale, Hannibal Lecter (Mads Mikkelsen) is on the run in Europe - accompanied by his psychiatrist Bedelia Du Maurier (Gillian Anderson) - sporting a new identity, but servicing the same insatiable appetite. As the lives of Will Graham (Hugh Dancy), Jack (Laurence Fishburne) and Alana (Caroline Dhavernas) converge toward Hannibal again, each with their own motivations to catch him once and for all, their deadly dance turns in startling and unexpected way.